You know when you have a plan? You’ve made a careful list of everything you need from the supermarket. You’ve spoken to Siri throughout the week and added things you need to the list as you’ve run out. You are on it. And then your kids wake you up in the night to tell you they’ve got ooze coming out of their ear and it hurts, the dog sicks on the floor just as you’re about to leave the house, and you get to the supermarket without the list. You struggle on, you clean up the sick, you dispense Calpol, on the hoof you figure out a rough menu plan that won’t result in scurvy or meat sweats. You get to the checkout, bog roll teetering on the top of the trolley, emergency beers squashing the salad you picked up in the first aisle (Why do they do that? Put the squashable fruit and veg in the first aisle, and the heavyweight alcohol in the final aisle?). You put everything on the conveyor, you relent and add that novelty snack bar that the kids are campaigning for. Everything is packed into bags, which you’re forced to buy because although you remembered to put them in the car, that’s where you’ve left them, and you can’t face the ire of the people in the queue behind you while you sprint out to get them. So you pay, for more bags for life. It’s all very well being environmentally friendly, but you’re running out of room to keep them all in the cupboard under the stairs. The end is in sight. All is packed. That’ll be £108.56 please. You reach into your pocket. Pull out your wallet. The blood drains from your face, your arms go numb, your stomach flips and your feet feel a bit tingly. For then it dawns on you. Your card is still in your backpack, along with your emergency tenner and multitool. If this has been your week, or your week has followed a similarly thwarted plan theme, then never fear. For now, you know where you are (Friday), and you know where you’re going (the weekend) (added bracketed answers included for the very befuddled). 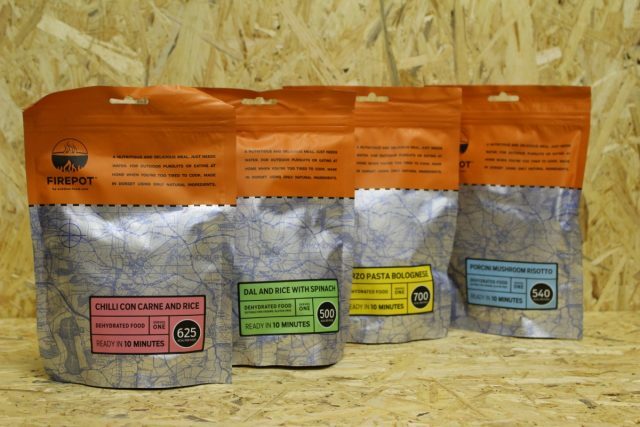 Your pole star in the night sky, your lighthouse on the rocks, your trig point in the fog – it’s here: Fresh Goods Friday! 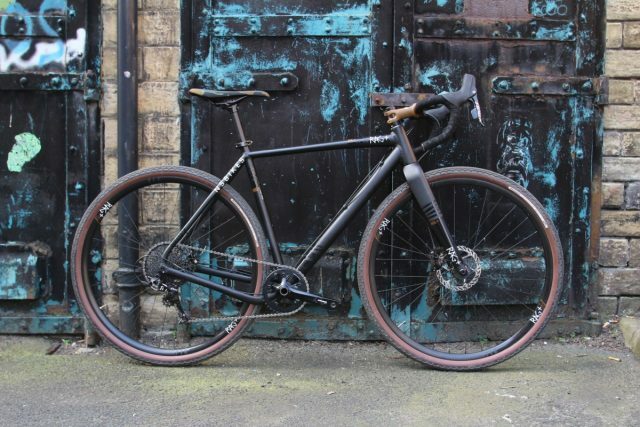 Set up here in 700x40c format here, but you can stick some 27.5×2.2 MTB tyres on there and you’ll have something part way between a mountain bike and a gravel bike. 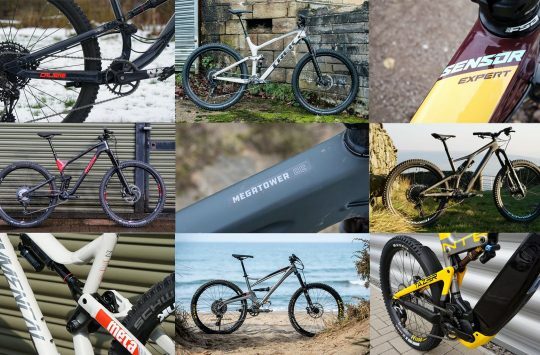 Which shouldn’t come as a surprise since it’s made by NS Bikes, makers of dirt jump bikes and mountain bikes such as the NS Eccentric Cromo. It’s got a full first look over on grit.cx. 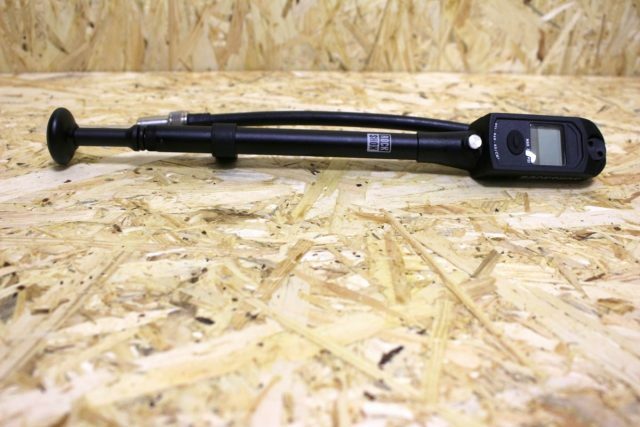 We think it’s really rather pretty, and well worth checking out on our #dirtydropbargoodness site. 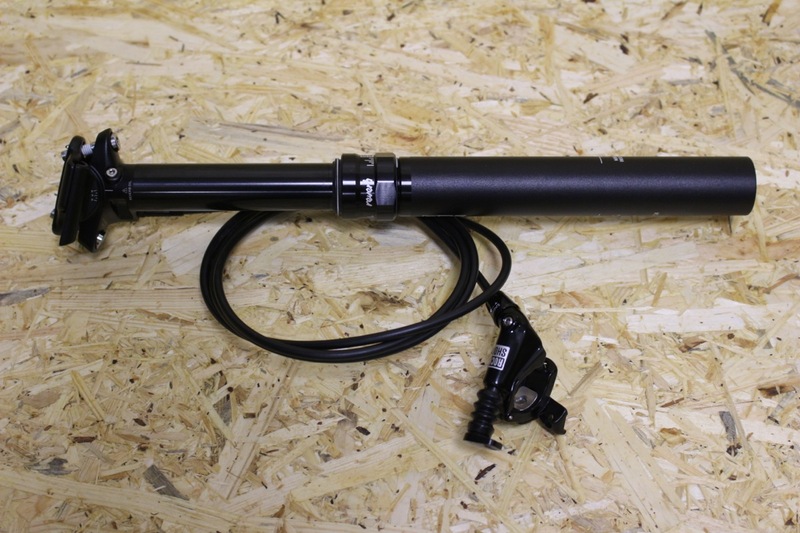 Everyone needs a shock pump. Wil has many. Continuing Wil’s obsession with gauges and numbers, we have been sent this high pressure/small volume digital shock pump. Still not called fun poppers, Wil. Sometimes we get test bikes in that (shock!) don’t have dropper posts. Sometimes we like to add one. So we have this 31.6mm externally routed one in for when we feel the need. 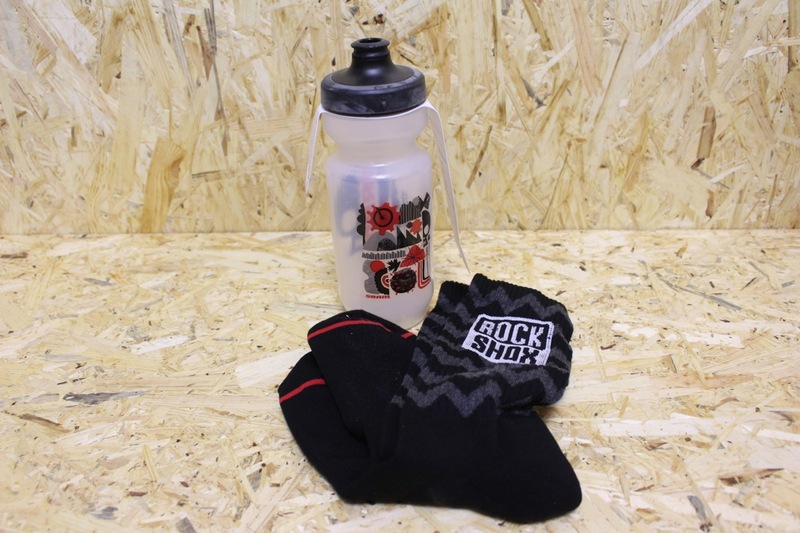 And while they’re at it, the nice peeps at SRAM have also sent us a water bottle and some woolly socks. We were kind of hoping we’d passed woolly sock weather, but the sky does suggest our hopes were vain. Warm feet and hydration: important. Stinger not included. Three cranks spacers are included. 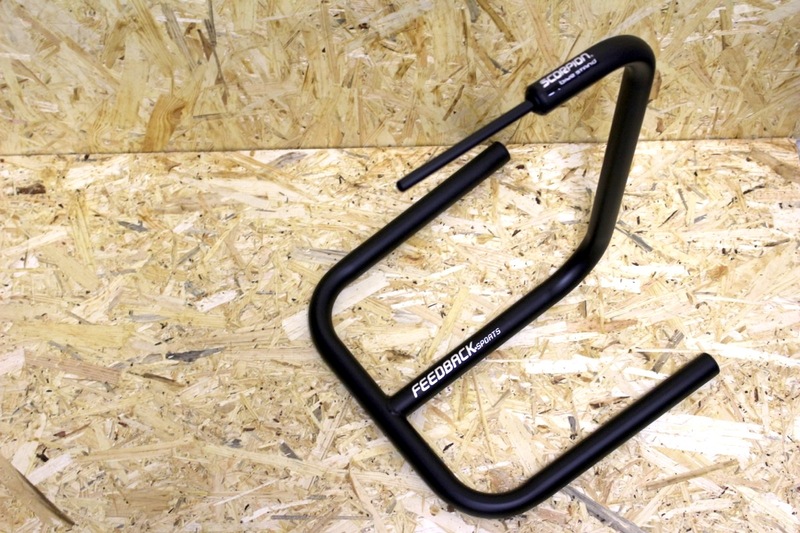 For light maintenance tasks or easy washing, this is a bike stand design to hold hollow crank bikes. Price: £17.99 for 30 sachets, £14.99 for 12 pots. More porridge! 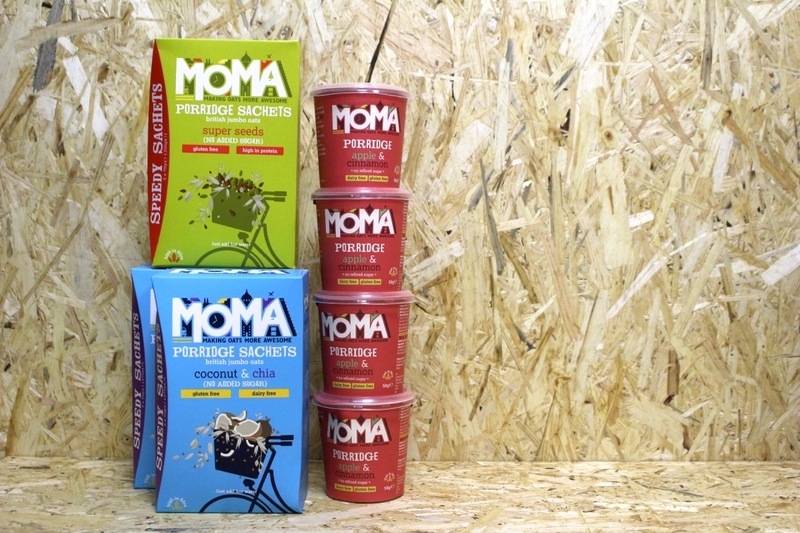 We had some of this in last week, and we’ve been sent more, this time with added Apple and Cinnamon flavour pots. Washing up free porridge – apart form the spoon. Hannah has been eating last week’s delivery for her lunches, so she’s quite glad to have more supplies land this week. 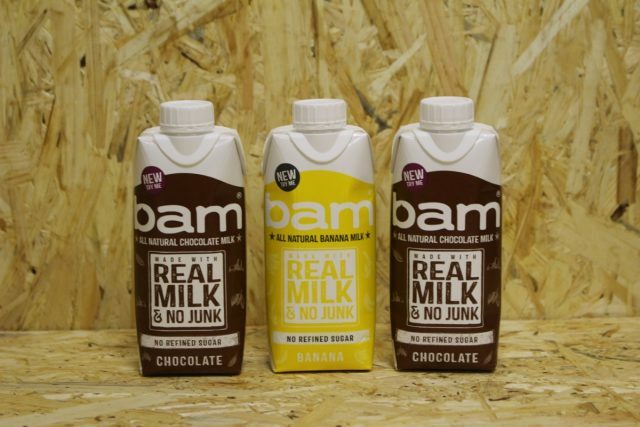 No artificial colours, flavourings, sweeteners, preservatives or refined sugar, these are whole milk drinks sweetened with honey and flavoured with either banana puree or cocoa. 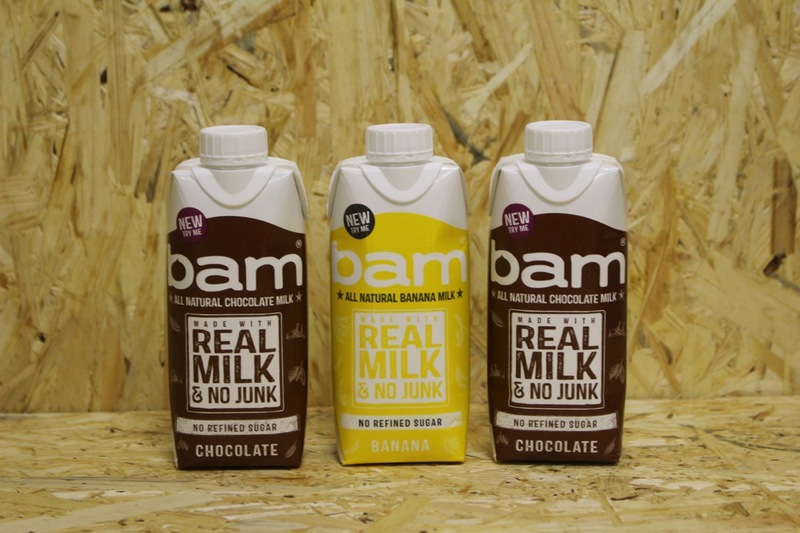 11g of protein per resealable 330ml carton. Price: £34.99 a pair, £19.99 each. You try taking pictures of mudguards. It’s hard. 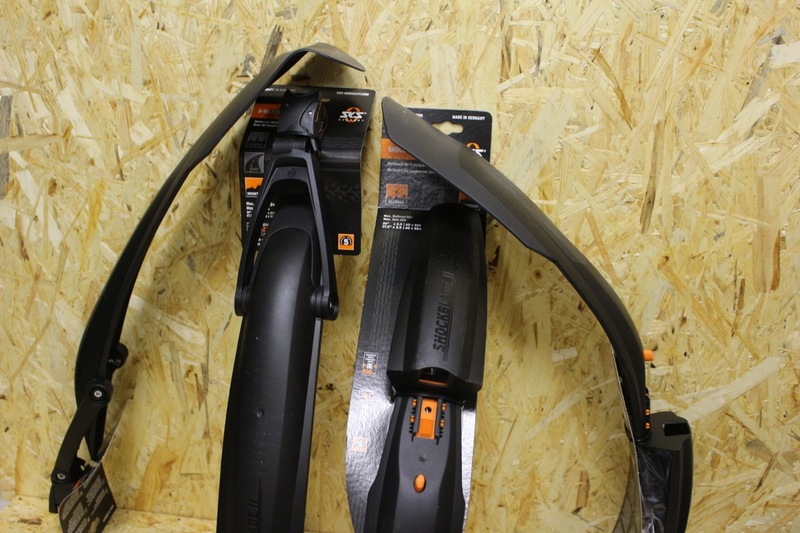 The front Shockblade offers greater coverage than a downtube mounted mudguard, and is compatible with suspension forks. It integrates a quick-release system for easy fitting and removal. 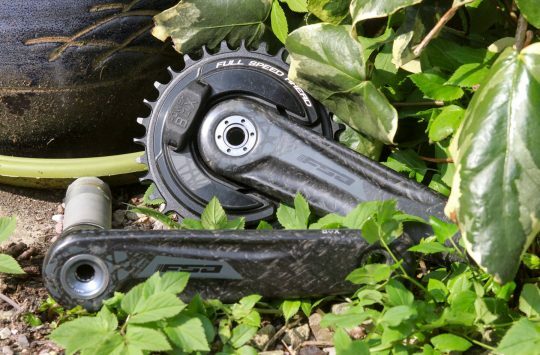 The Shockblade is complimented by the adjustable rear X-Blade, utilising a dual pivot design to customise the fit. 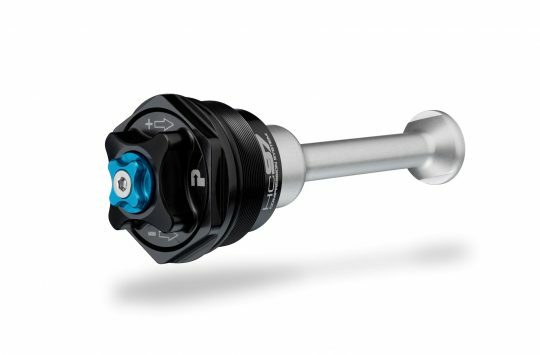 Available to fit 26-27.5in or 29in wheels. Knobs of butter. Not for toast. Travel size mini pots, known as Knobs (of butter). 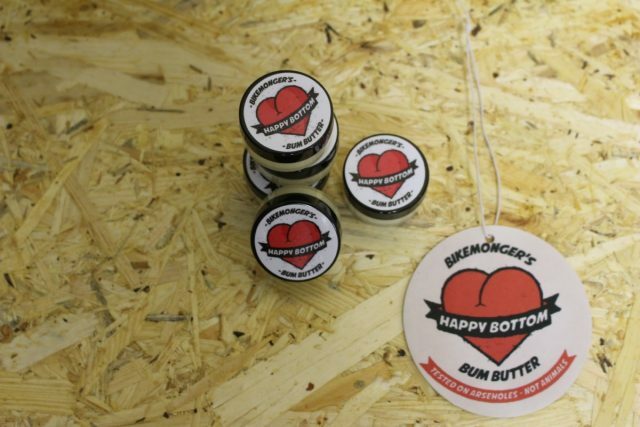 Plus, now you can have you car smell as good a Charlie’s Bum (Butter). Lost, forgotten, muddy kit…we suspect we’re not the only ones to have cars that smell worse than our bottoms. Keep your shifter shifting by charging your battery from time to time. Takes approx 1.5 hours to charge fully. 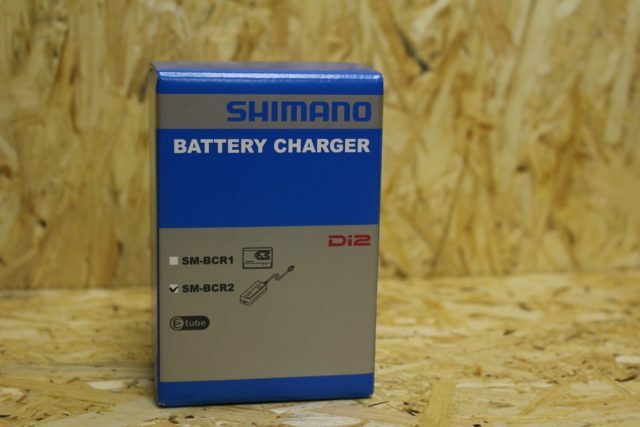 This will be heading off to our tester, David, to go with the PACE RC127+ we featured last week. Get cleaned up. And lubed up. 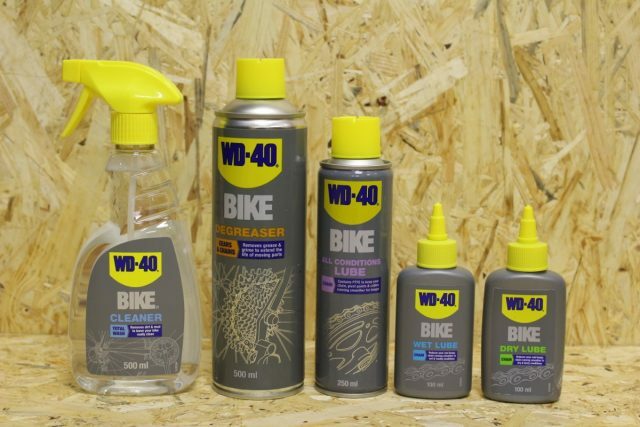 All your cleaning and bike care needs taken care of by WD-40, the smell of which takes Hannah back to her childhood, when many things seemed to need a squirt of the original WD-40 spray to make them work. Chipps had his old phone in one of these for two years. He took it out the case, and promptly smashed his screen. We’ve got new phones here in ST Towers, so we needed cases – two years of Chipps based testing seemed like a good enough recommendation for us. 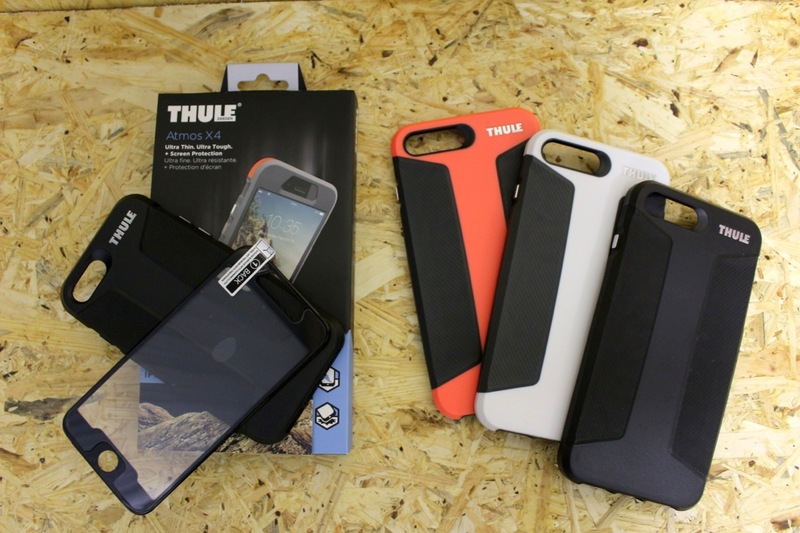 But if you don’t trust Chipps’ attempts at breaking his phone, Thule have also tested it – it passes a 2m drop test. Enduro Face 1: The ‘It’s going well’ look. 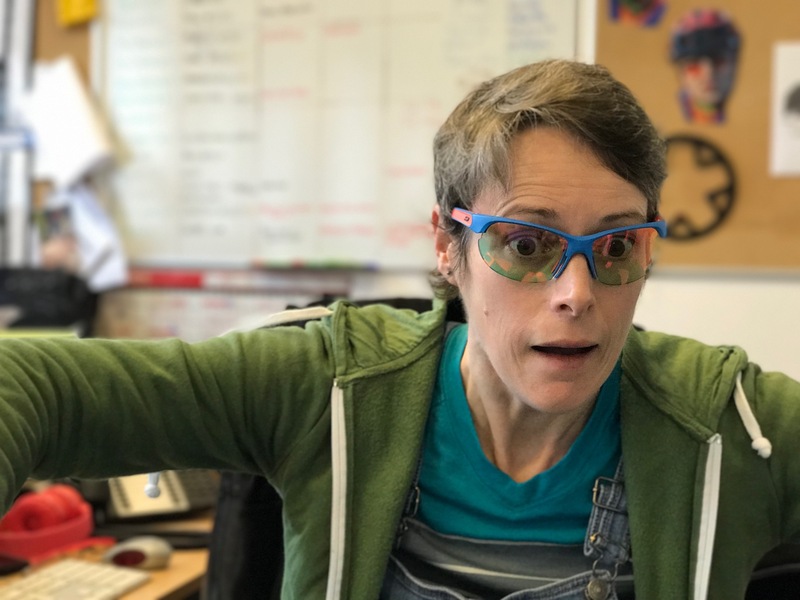 Fitted with Zebra light photochromic lenses, these Whoops glasses are designed for smaller faces, so they stay put and give you the protection you need from the sun (and flying mud, if that’s what you’re more likely to encounter). Hannah is practising her ‘Enduro Face’ because…. Enduro Face 2: The ‘It’s going less well’ look. 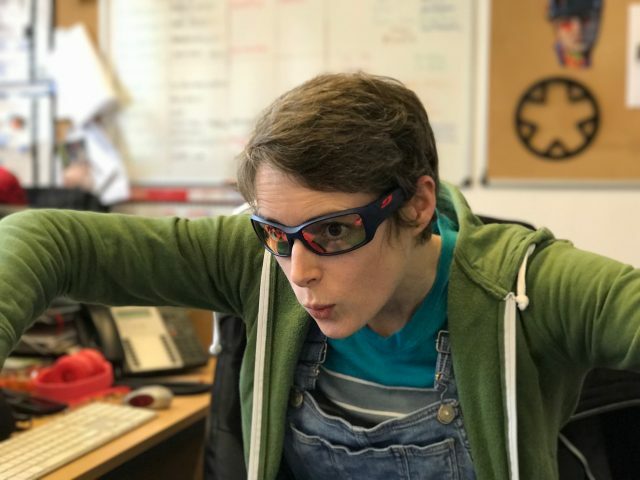 …she’s off to France this summer to take part in the Julbo Enduro in the Jura Mountains. It’ll be her first Enduro race. Eep. So the folks at Lyon Outdoor are sorting her out with some prescription shades so that she will be able to see where she’s going. This Breeze frame is also designed for smaller faces, and has very adjustable legs and nosepiece, so you can get the fit just right. They’ve also got venting to help stop you steaming up, and again they’ve got the Zebra light photochromic lenses. So Hannah will be able to see in the dark Yorkshire spring as well as the sunny French summer. Which brings us to the end of this Fresh Goods Friday. Have yourself a bit of Australian folk, in celebration of lighthouses, knowing where you are, and where you’re going. Why do they do that? Put the squashable fruit and veg in the first aisle, and the heavyweight alcohol in the final aisle?. Because nobody ever stole a lettuce. How much for a battery charger??? To stop us becoming alcoholics by filling our trolleys with beer before adding a garnish of nutritious food. If it’s proper man-shopping and alcohol is what is required, no lingering over the garnish. Go straight to beer, do not pass go and then pick up the carb snacks on the way to the till. 330 ml of plain whole milk contains roughly 11g protein and doesn’t cost £1.60 even when bought direct from the farm.